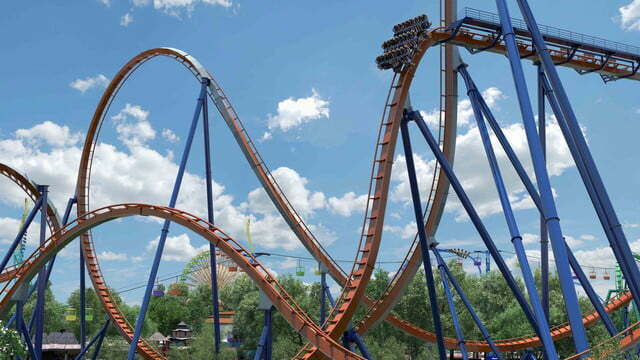 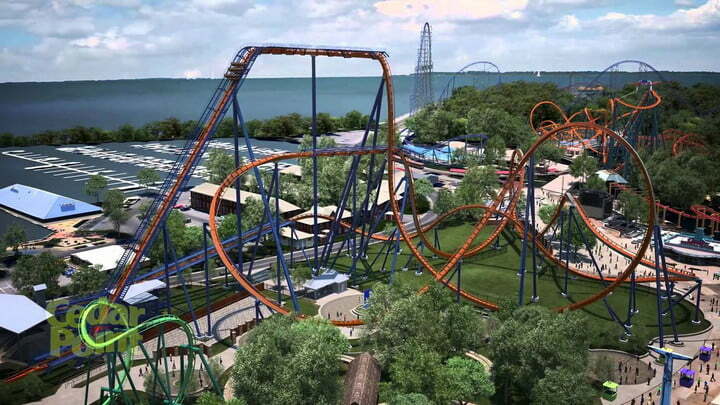 Cedar Point theme park in Sandusky, Ohio is preparing for another world record with its new Valravn rollercoaster, the world’s tallest, fastest, and longest dive coaster. 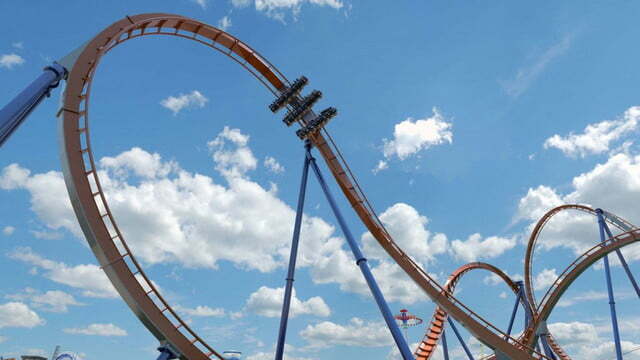 Opened in 1870, Cedar Point is the second oldest amusement park in the United States and has earned a reputation as the Roller Coaster Capital of the World. 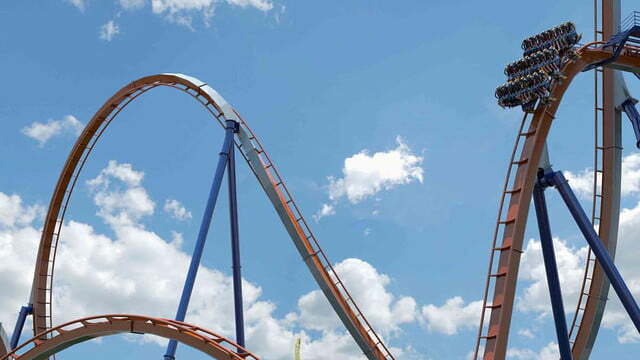 The park has a world-record 72 rides with 17 roller coasters, four of which tower more than an astounding 200 feet. 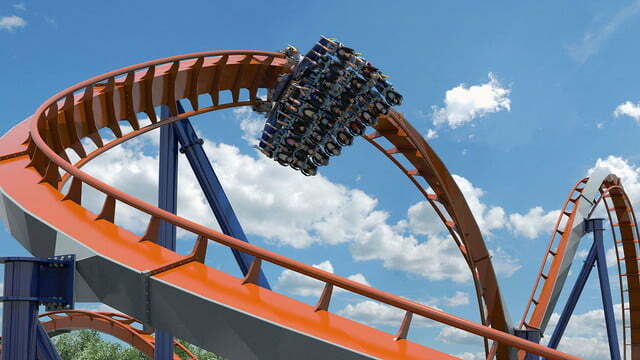 The Valravn plans to be Cedar Point’s 18th roller coaster and fifth 200-footer to join its massive collection. 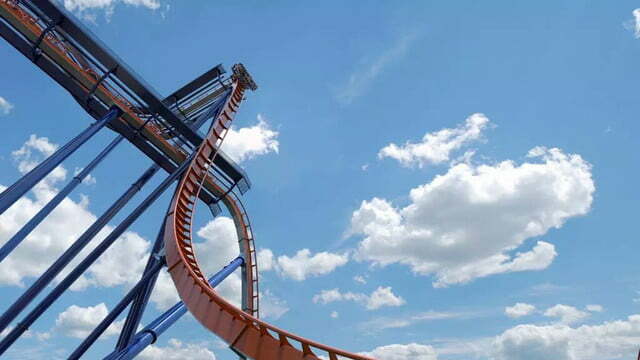 After climbing a staggering 223-feet, the coaster then plummets down an intense vertical drop of 214 feet that’ll rocket passengers up to speeds of roughly 75 mph. 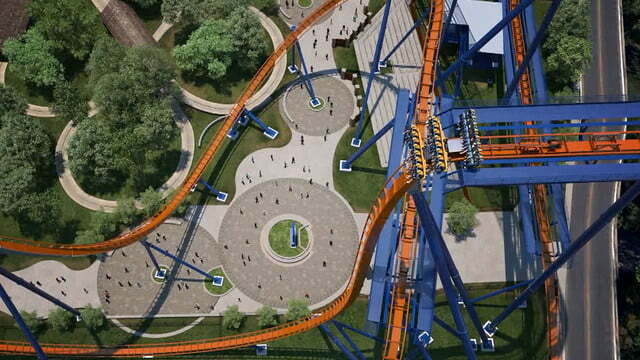 When completed, the track will extend 3,415 feet and includes a second near-vertical drop of 125 feet, a 270-degree roll, and a 165-foot Immelmann — an aircraft-inspired portion of the ride that whips riders through half-loops and half-rolls before executing a sharp U-turn. 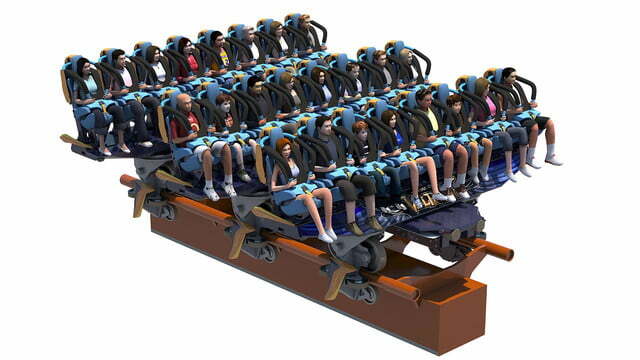 To make the ride even more intense, riders sit inside a 24-passenger floorless train with tiered seating which lets each rider gaze at the nearby scenery as they plummet, twist, and turn. When it debuts, the coaster figures to set ten new world records for the park with honors ranging from the tallest dive coaster in the world to the most roller coaster track at one park (11.4 miles). 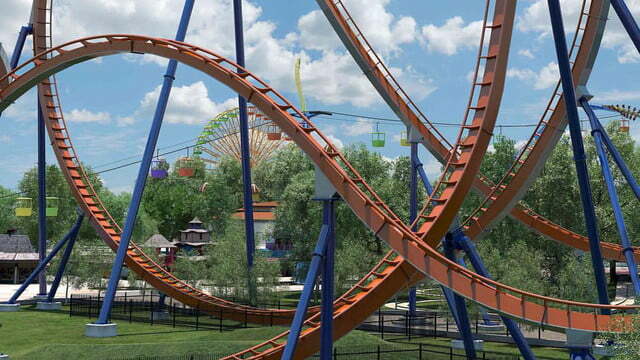 Amusement park fans who can’t wait for the thrill can download the Cedar Point VR app and insert their phone into specialty Valravn VR Viewers, which are available from the Cedar Point park itself. 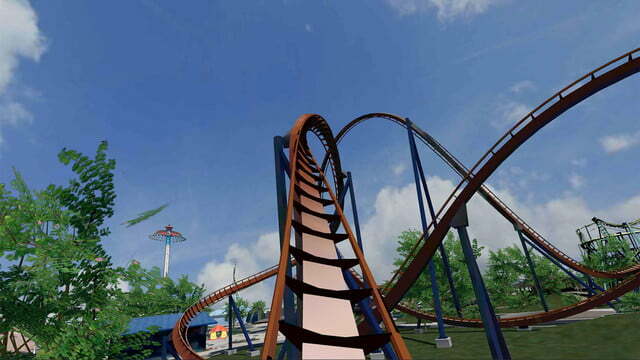 The app and viewer allows fans to experience the coaster in a stunning 360-degree virtual reality view, giving those interested in the ride a sneak peek at what to expect. 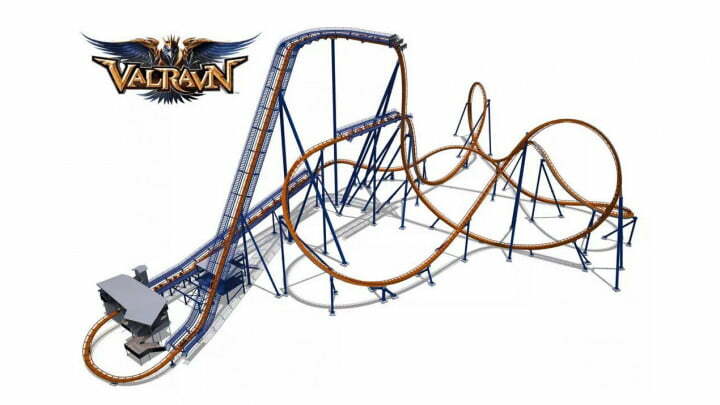 Cedar Point recently broke ground on the construction of Valravn and hopes to have the coaster operational for the 2016 season. 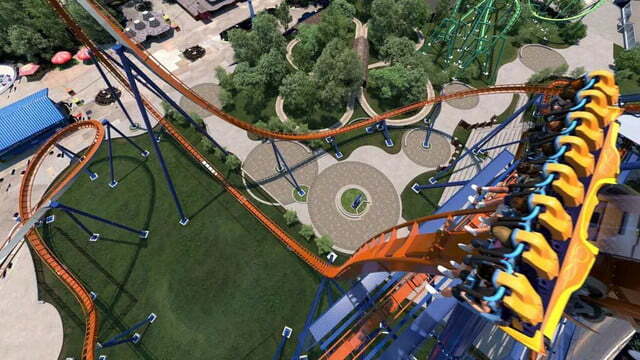 You can follow all the progress of the coaster’s build by heading over to Cedar Point’s website.